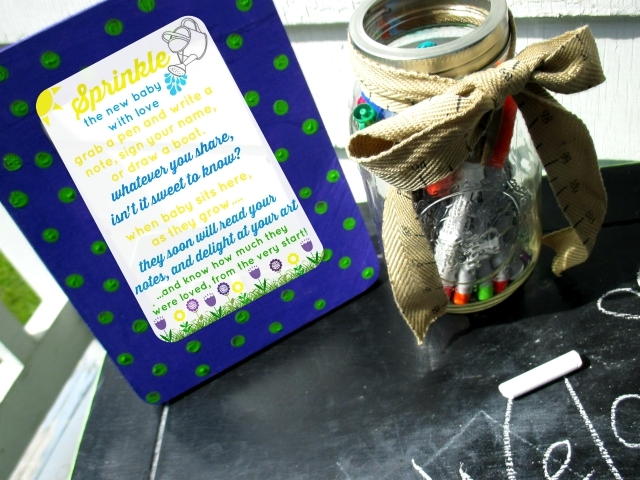 We've all most certainly heard of baby showers, but have you heard of "Baby Sprinkles"? I absolutely adore the concept of these smaller get together's that welcome 2nd, 3rd, 4th babies! While the couple may not need an arsenal of new baby gear, they still most certainly need smaller essentials, and diapers. Maybe you want to go all out, with food, gifts, and games, or perhaps you'd prefer a smaller gathering, with light refreshments and small plates. Whatever your plans, think outside the box, and have fun with it! 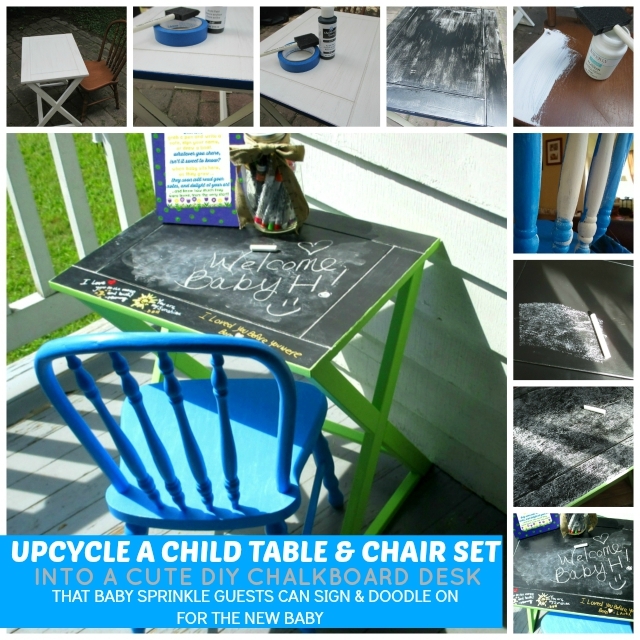 I was tossing around some ideas for Baby Sprinkles, and came up with this easy upcycled child table and chair set, that also doubles as a guest book of sorts. The concept is pretty simple. As second time parents (or 3rd, 4th, or 5th!) 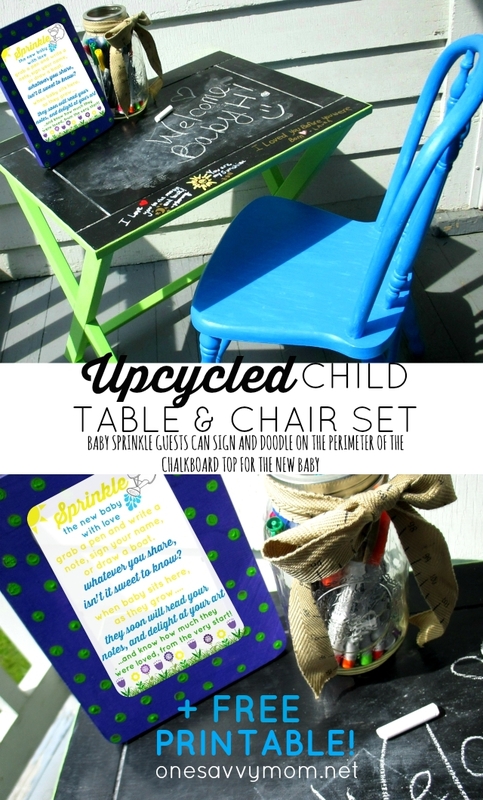 you most likely already have a pint size table and chair set on hand. I actually upcycled an old end table/nesting table that just happened to be the perfect height, and an old wooden child's chair. Like I said, GET CREATIVE! It doesn't have to be perfect. 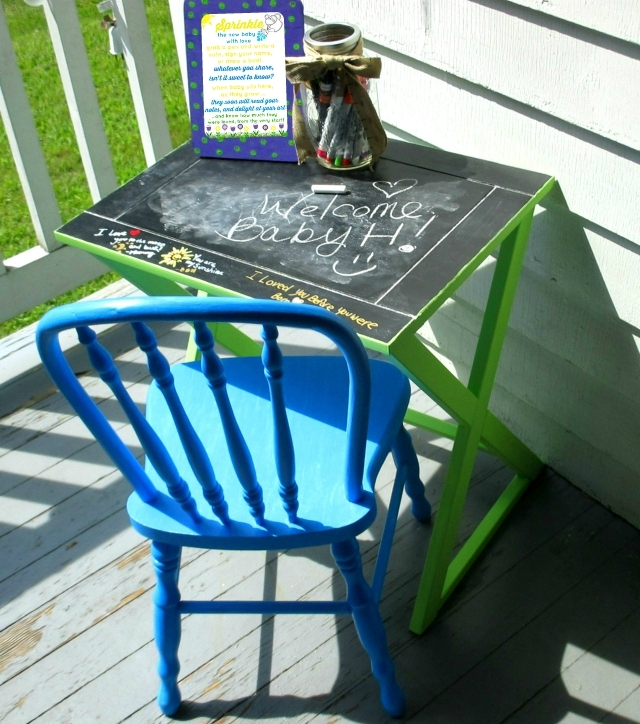 Simply do a quick update/makeover with some colored chalk paint around the frame (+ on the chair/chairs) and create a chalkboard top with chalkboard paint. 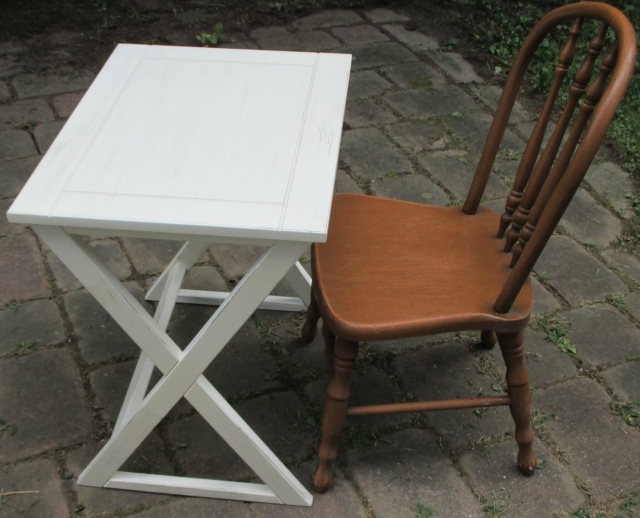 I'm in total like with chalk paint! It adheres nicely to just about everything you can imagine. It also eliminates the need for a ton of prep/sanding. After your table and chair set is complete, set it out at your baby sprinkle (along with our free printable below, in a pretty frame) and have guests sign, write a message, or doodle a picture for the new baby on the perimeter of the table top; leaving the center as an area that baby can use as a chalkboard when they get older. 1 frame + our free printable (you can grab it below - simple right click on the image and select to save/print- note it's sized to print as a 4"x 6" image). As all paint brands vary, and instructions vary, please follow the instructions for the particular products that you choose. Check out our step-by-step tutorial above. 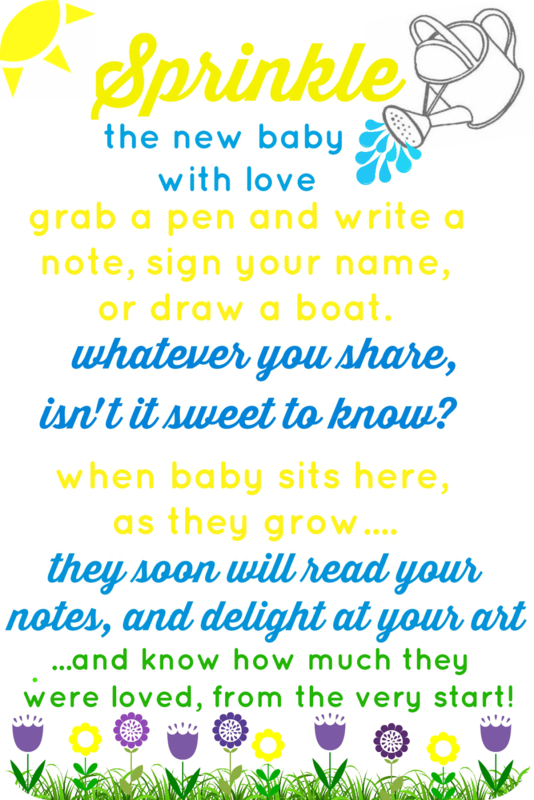 (right click the above image - and select to save/print our free baby sprinkle printable). 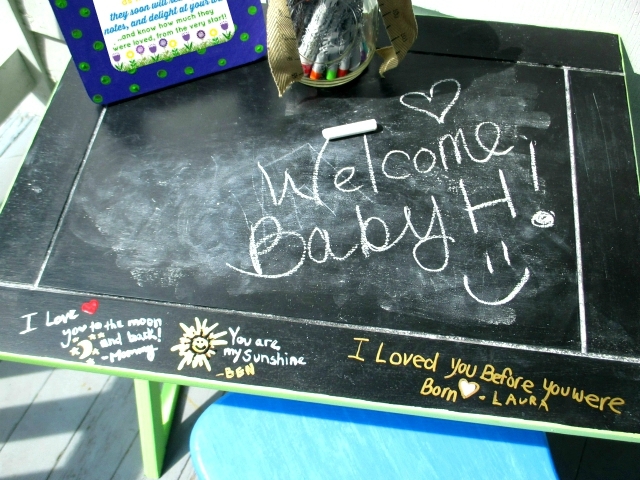 What are your creative ideas for hosting a baby sprinkle? Share in a comment below! Please note: All printables / images in this post are the creative property of One Savvy Mom!™ and are intended for personal use only.